Just checked the Oddsmakers website in England. The British are a betting nation. And therefore, you have to take their betting there seriously. As they do. With the BAFTAS coming up this weekend, it’s instructive to find out that “Gravity” is the odds on favorite to win for “Best British Film” a category that pertains to it being shot mainly there. And for which “12 Years a Slave” not nominated. I guess it means films that are made in England. Mainly London. “12 Years a Slave” IS however the favorite for Best Picture. And then they split again, and have Alfonso Cuaron, a Mexican, winning over Brit Steve McQueen! Well that’s how all the awards have been coming down. Cuaron won the DGA. And we could see that split at the Oscar, too. That “12 Years…” wins Best Picture, but Cuaron wins Best Director. The acting categories are interesting to me because they are always more influential than you’d think they’d be. Wavering voters in a close race like this year’s Best Actor certainly is And the oddsmakers are betting on Brit Chiwetel Ejiofor for “12 Years”! This it has to be noted is a competition where “Dallas Buyer’s Club” and Matthew McConaghey and Jared Leto, the presumed front-runners here in the States, it is thought by many, did not make the cut and were nominated nowhere. So Chiwetel may get his chance to really sway voters with an emotioanl speech that will be seen around the world, just two days after the AMPAS ballots go out. This could have a HUGE impact at the Oscars. The same could be said for the Oddsmakers.com front-runner in Best Supporting Actor Michael Fassbender! I’ve always been predicting those two towering performances. 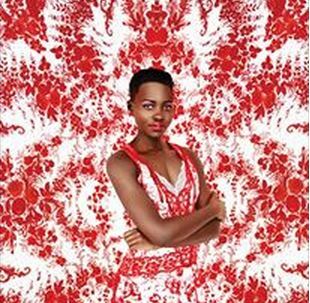 And of course, like everywhere else, Lupita Nyong’o(pictured above on New York Magazine’s cover this week) is the leading to win Best Supporting Actress. Keep your eyes on http://www.awardsdaily.com who always have the BAFTA results FIRST. And last but not least Cate Blanchett is favored to win Best Actress for “Blue Jasmine” despite recent events that I won’ even mention here. This will make Cate and Lupita even more locked than they have been, and maybe help Chiwetel and Michael Fassbender win! Michael will make a very emotional speech. They all will. Keep your eyes on BAFTA Oscar Watchers!